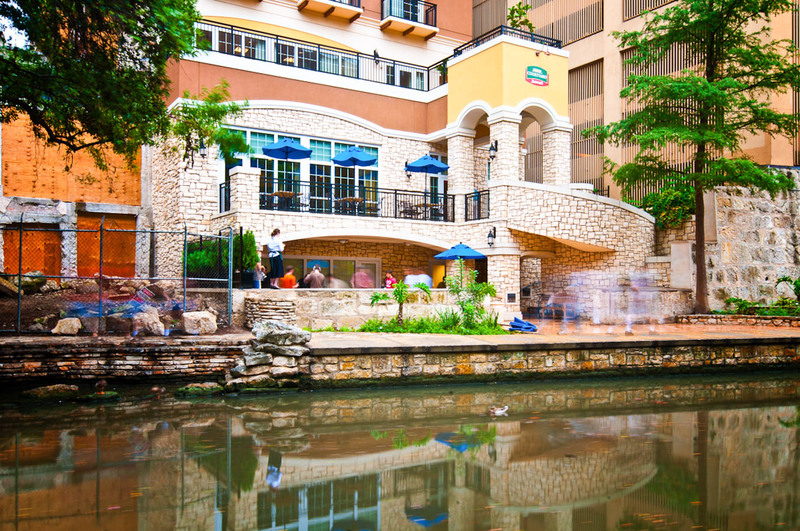 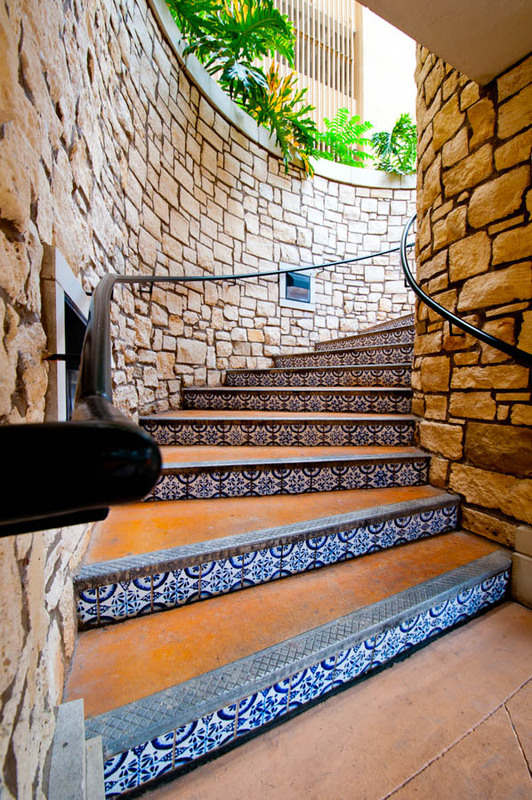 This Courtyard by Marriott is located in the famous river corridor in San Antonio. 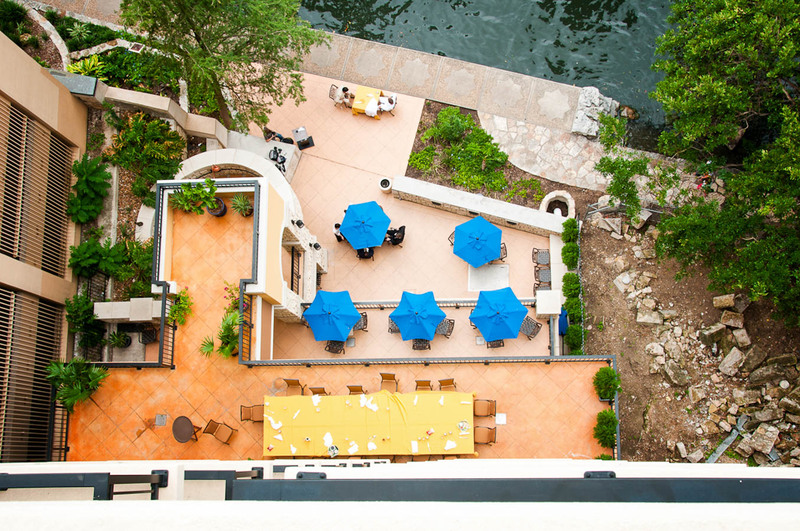 The 17 story hotel has a patio area off the river. 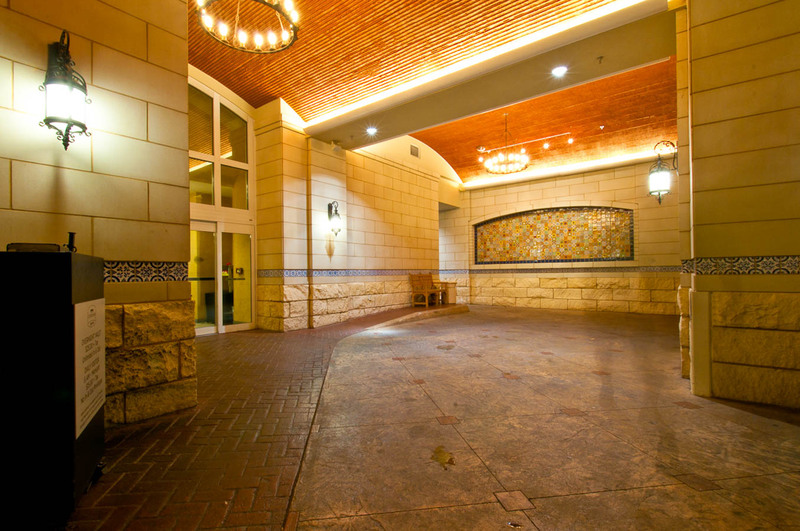 It also has a meeting room level and outdoor pool. 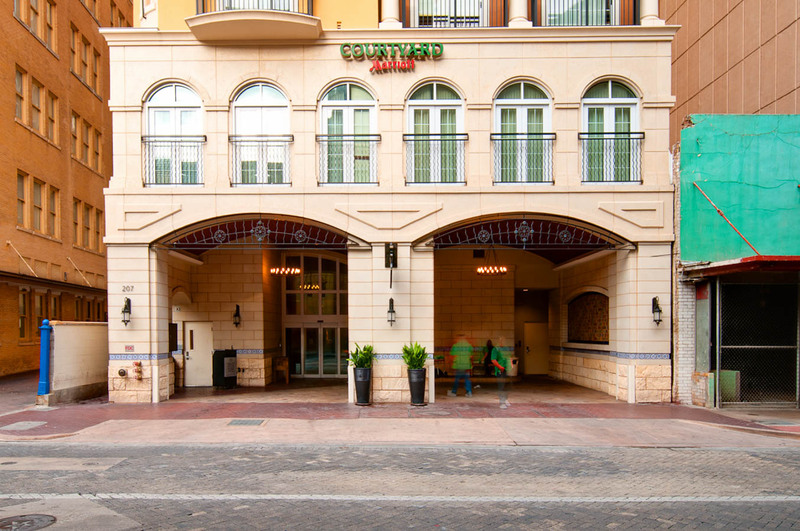 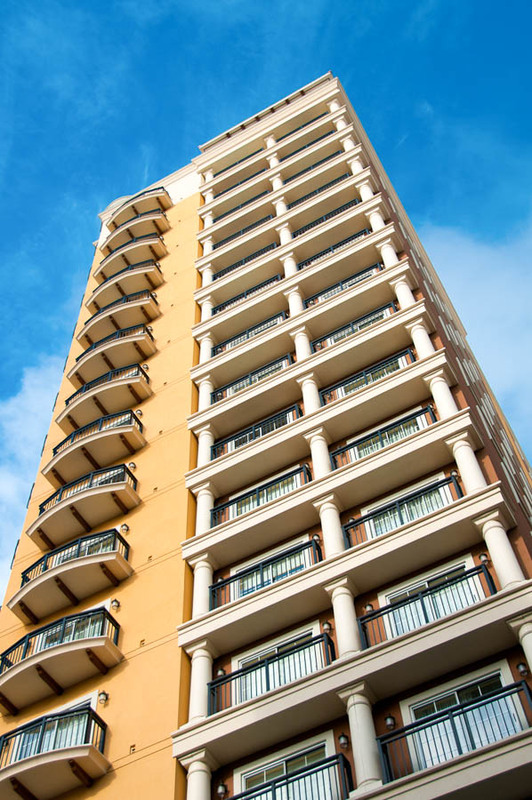 The Courtyard exterior offers different design elements of the historic river corridor.